The WHO estimates that 8% of maternal deaths in developing countries are secondary to prolonged or obstructed labour. This equates to >41 000 deaths each year. 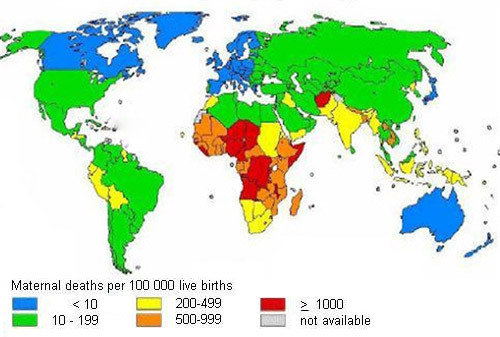 In developed countries, maternal death from obstructed labour is rare because most expectant mothers have access to healthcare. According to WHO and other UN agencies, operative vaginal delivery is one of six critical functions of basic emergency care. UNFPA and The World Bank. World Health Organisation, 2007.